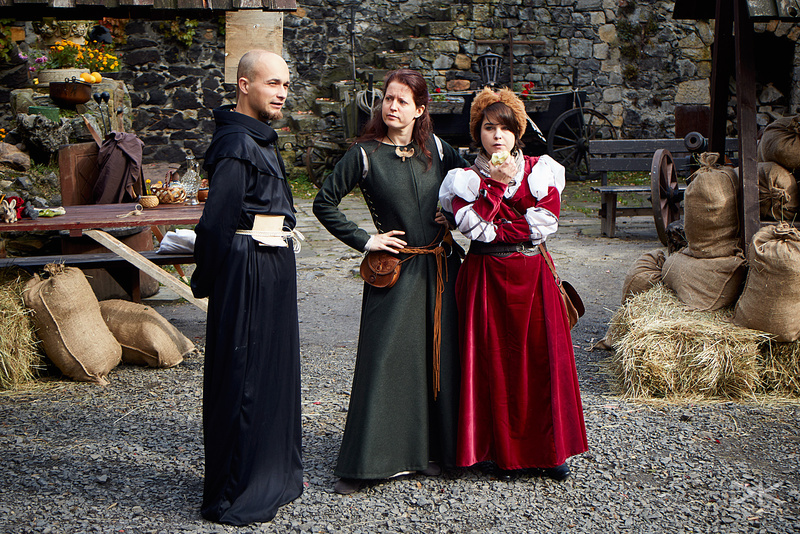 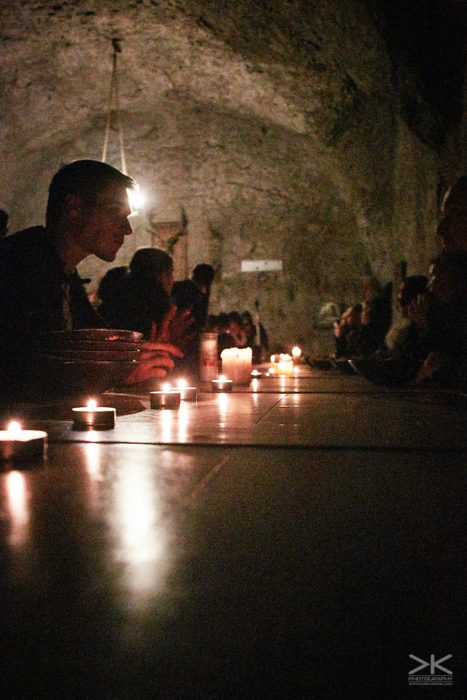 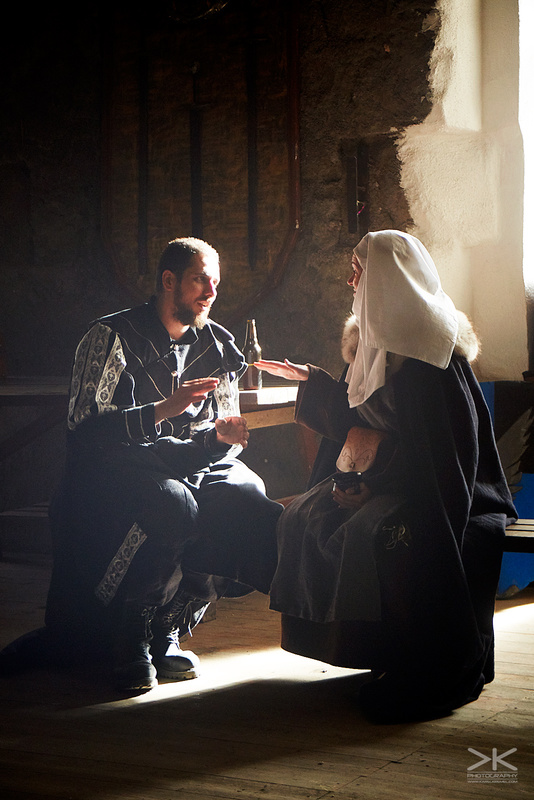 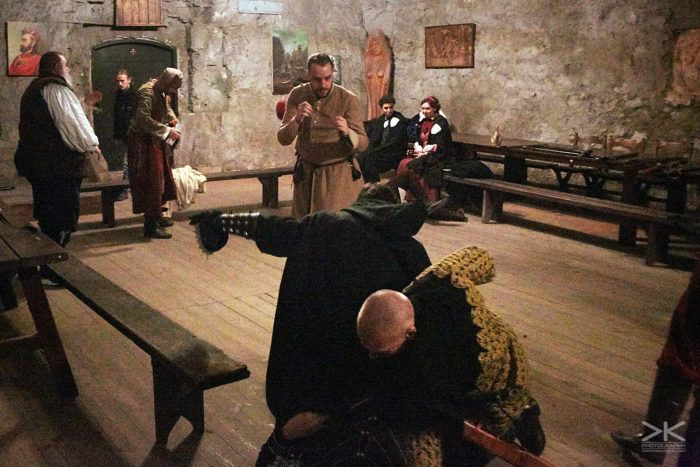 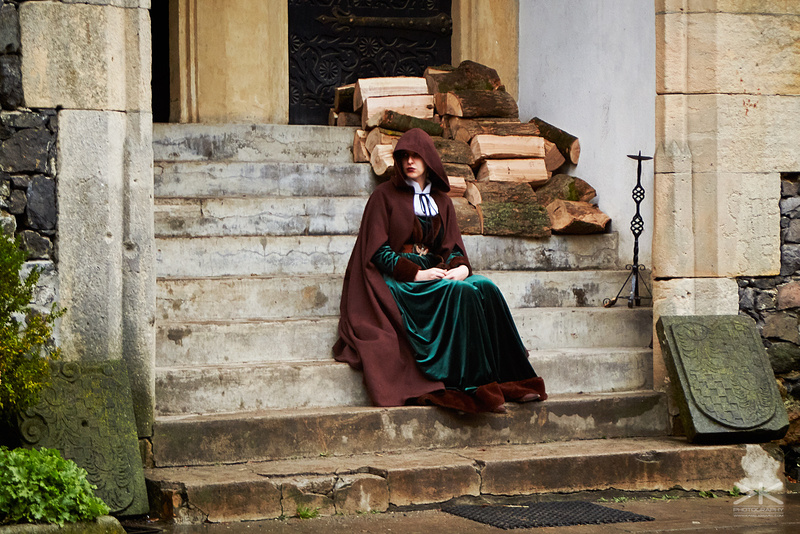 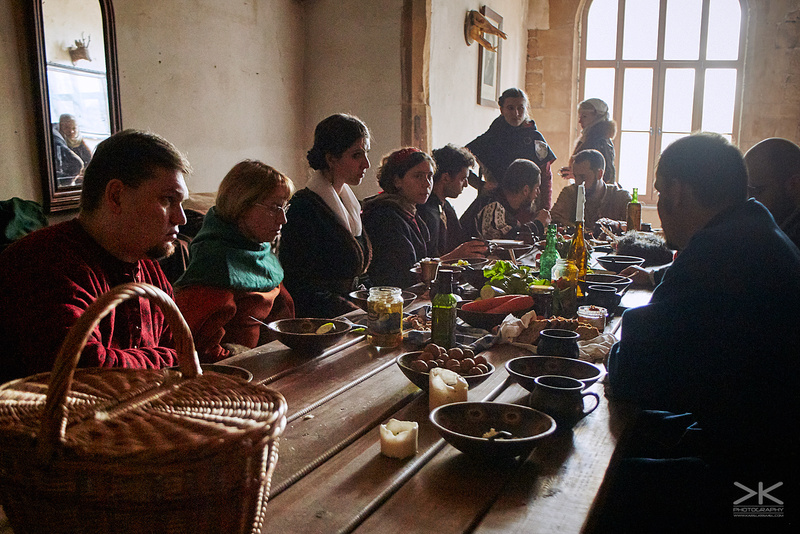 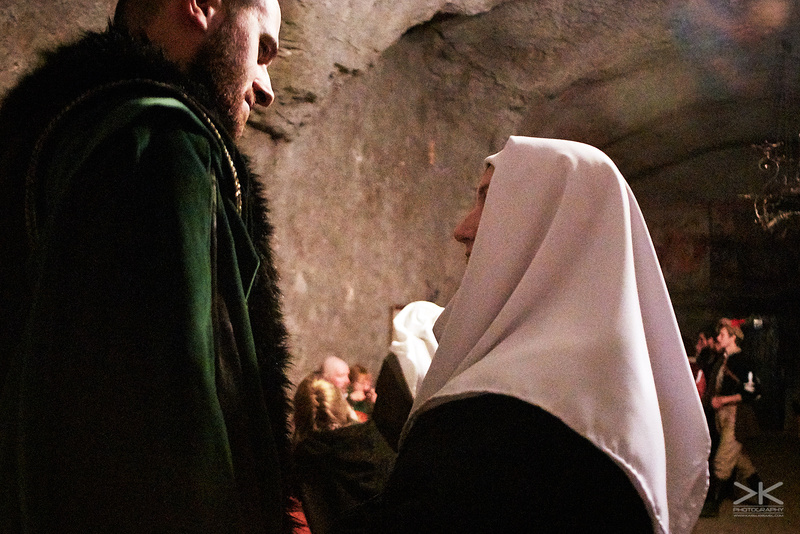 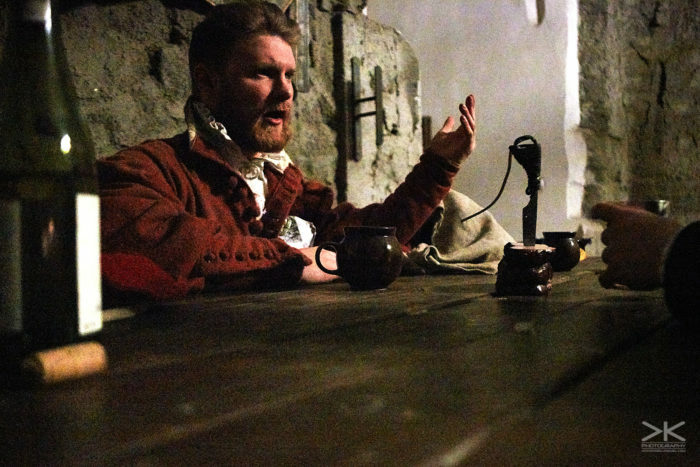 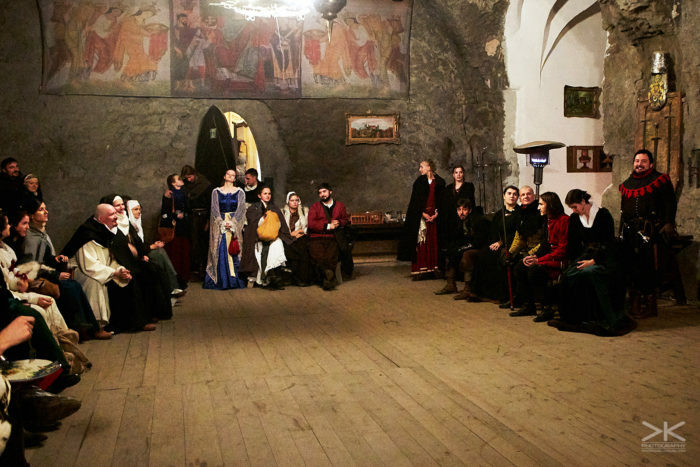 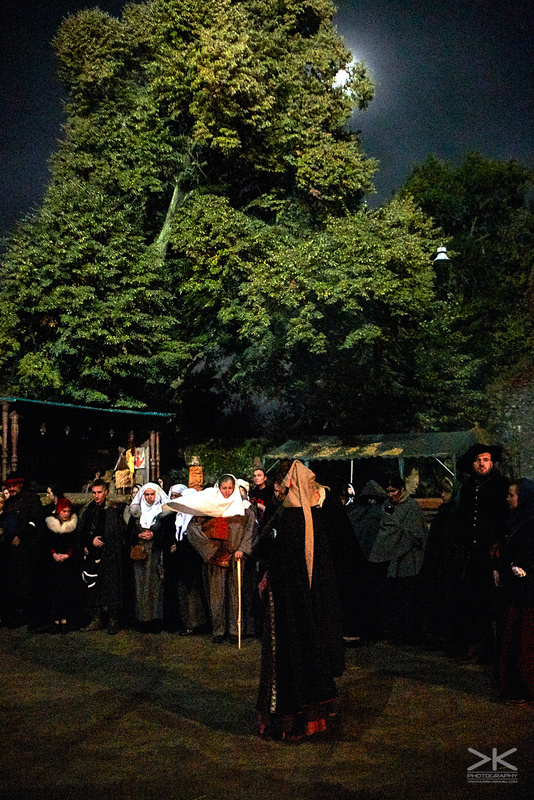 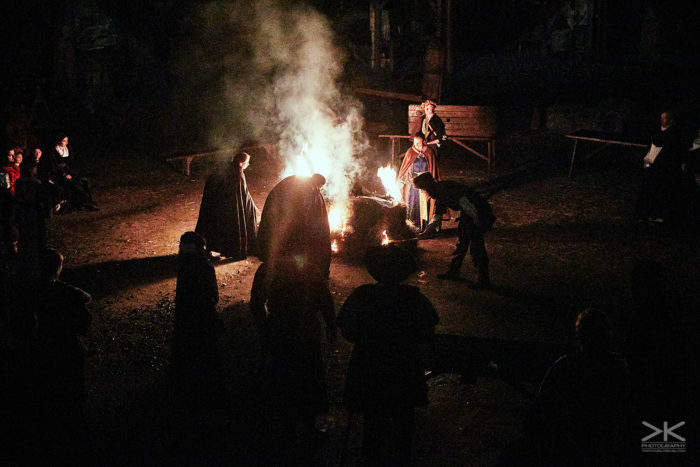 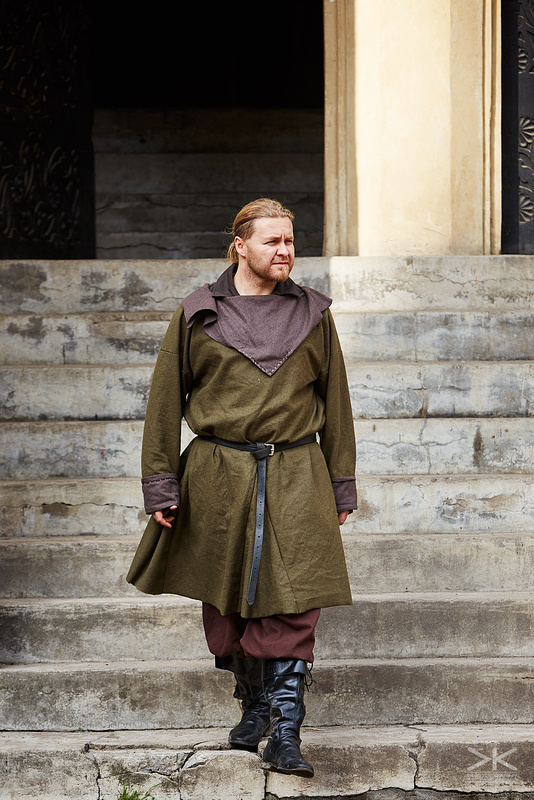 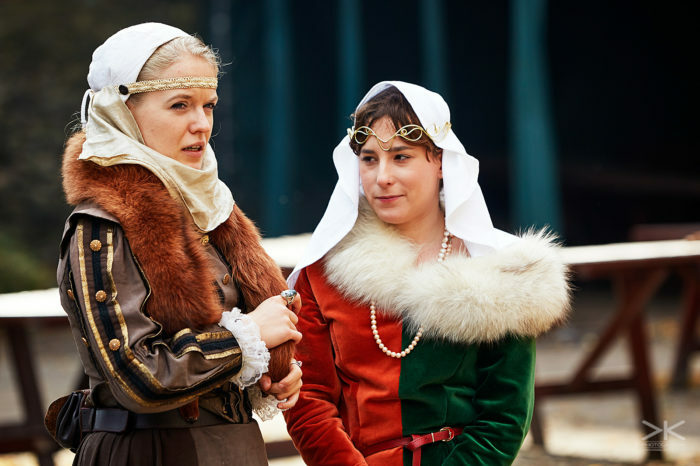 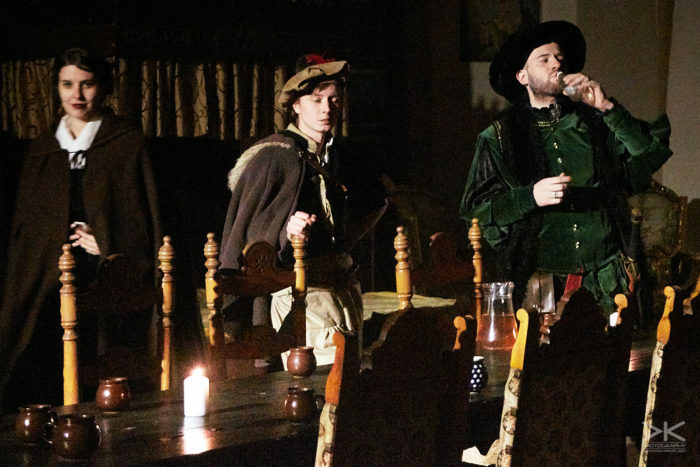 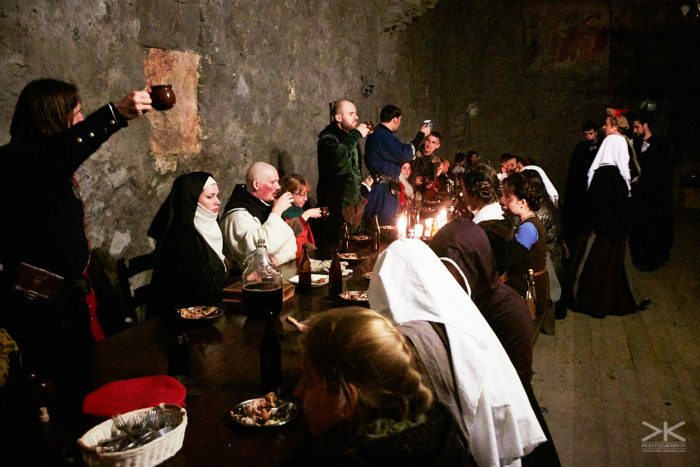 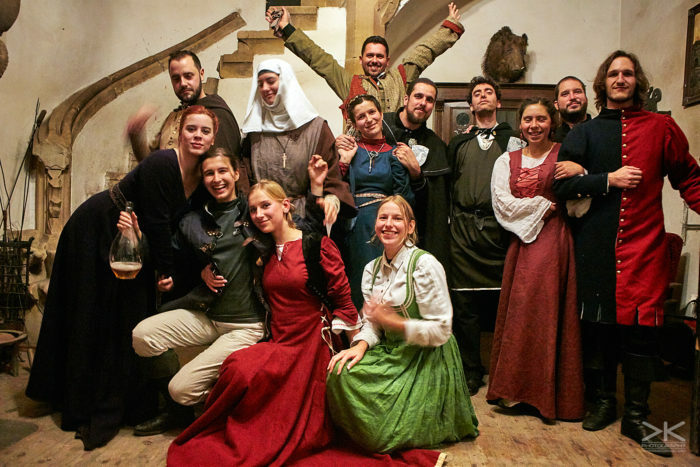 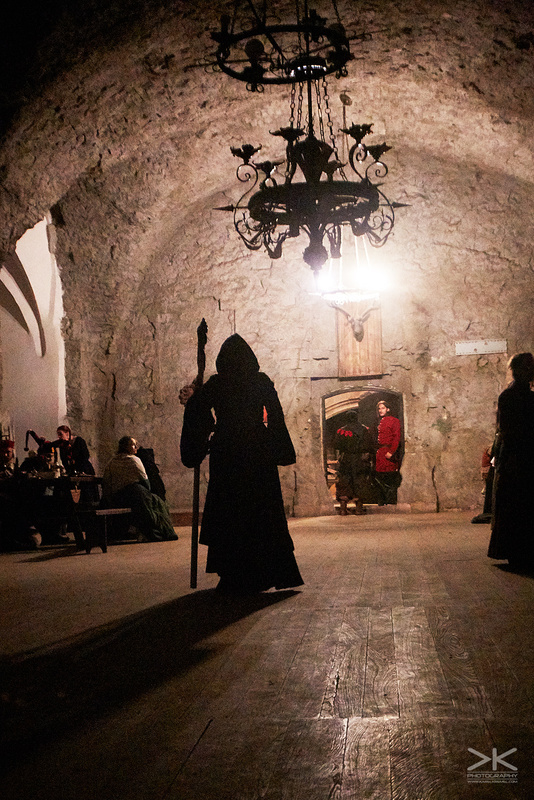 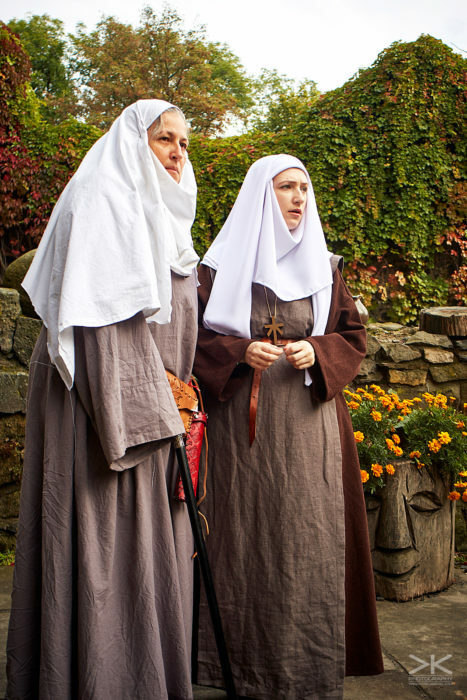 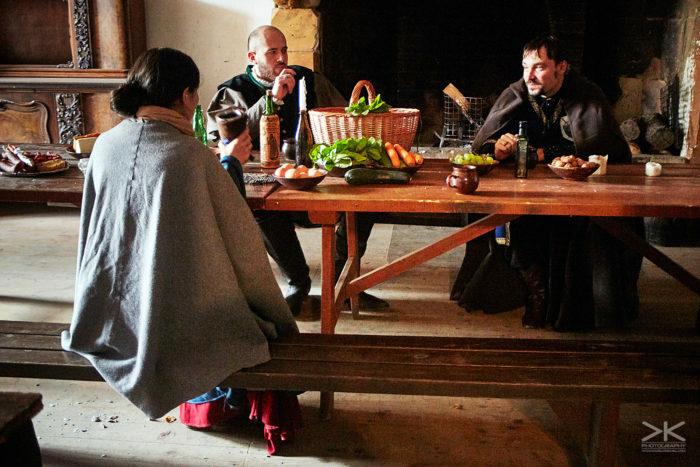 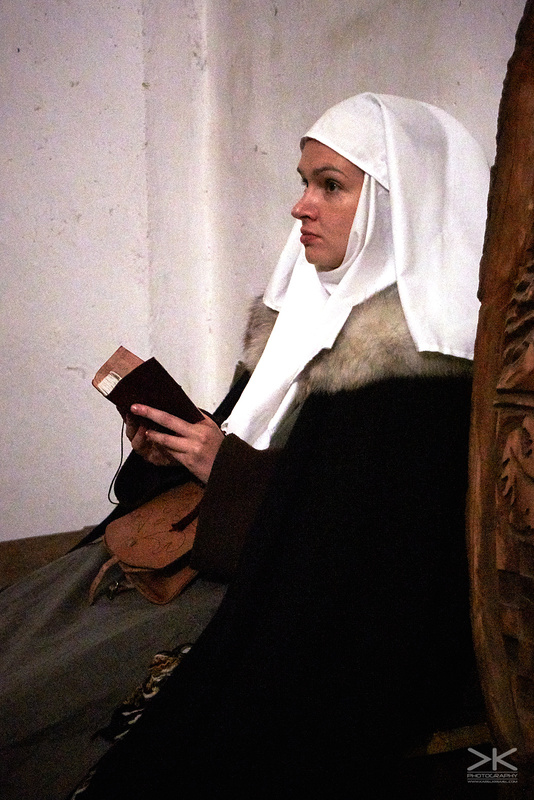 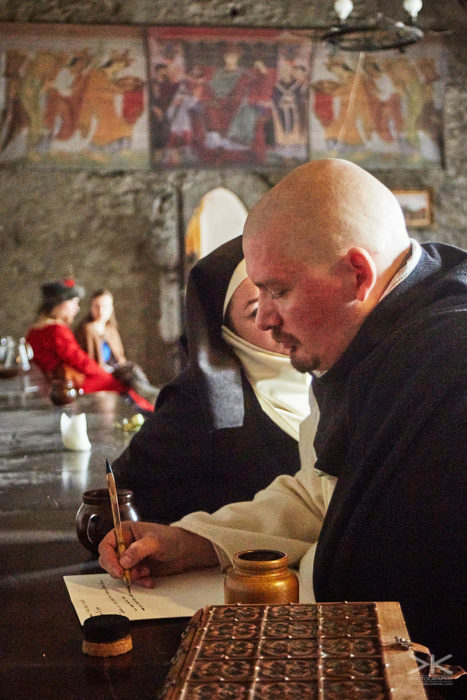 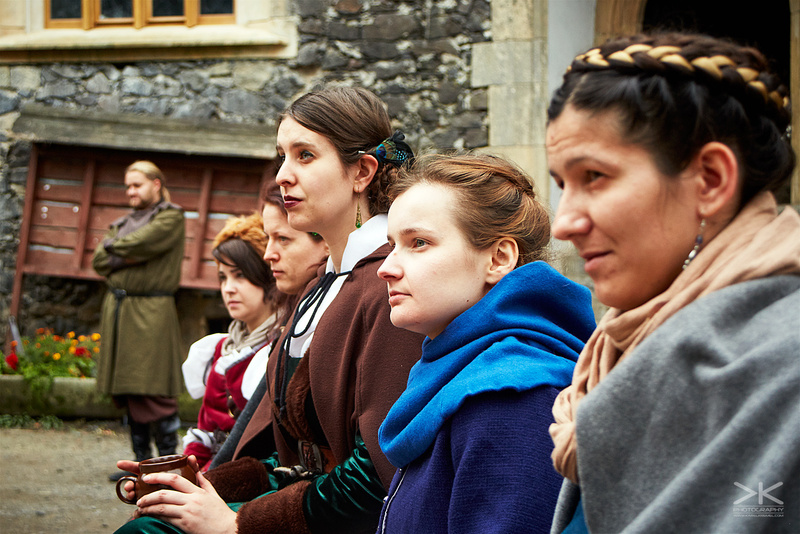 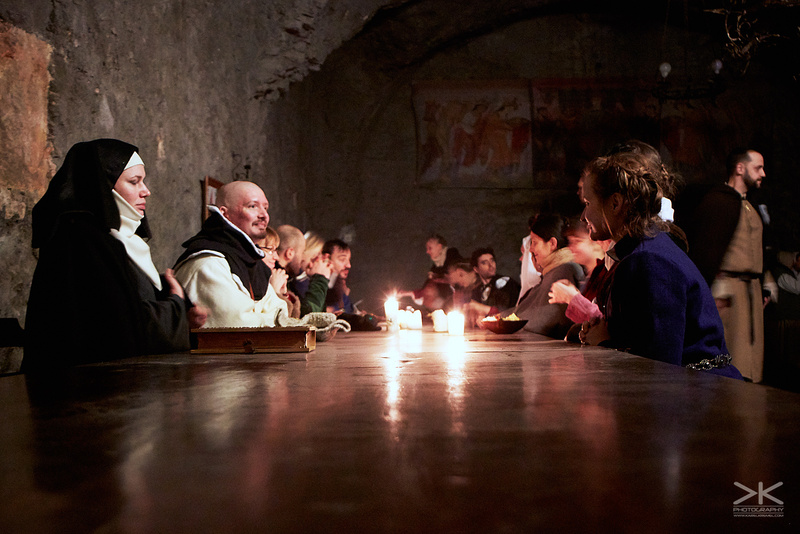 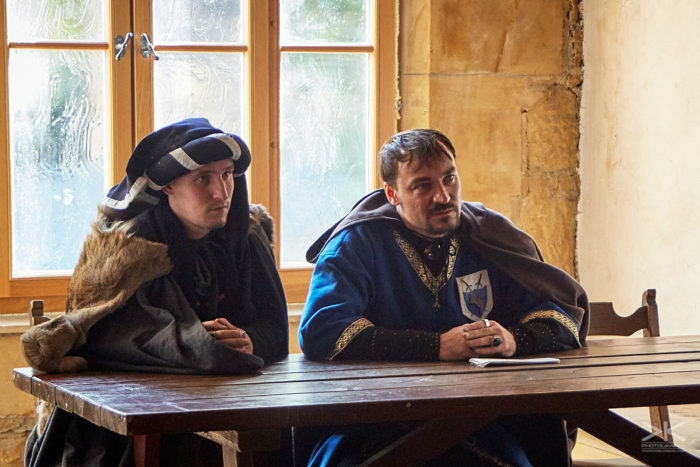 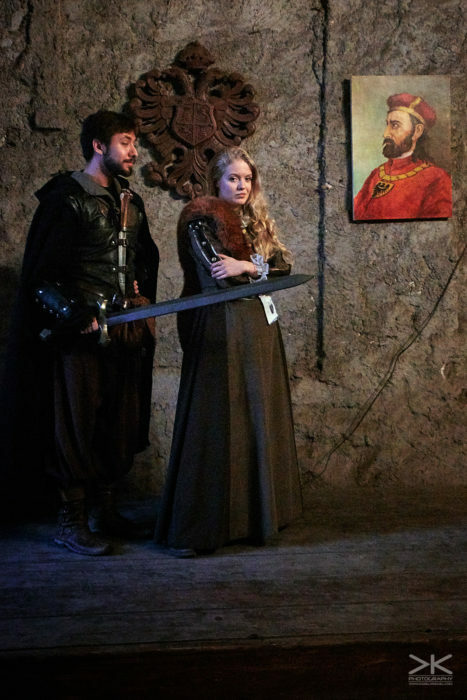 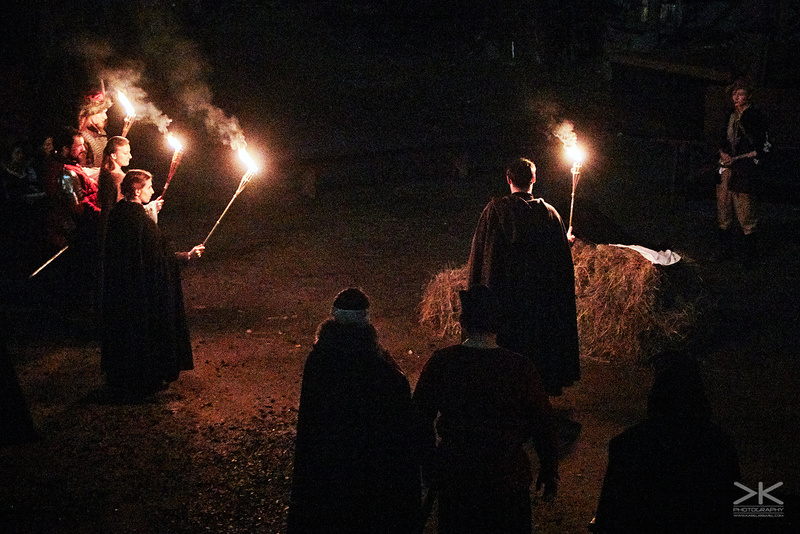 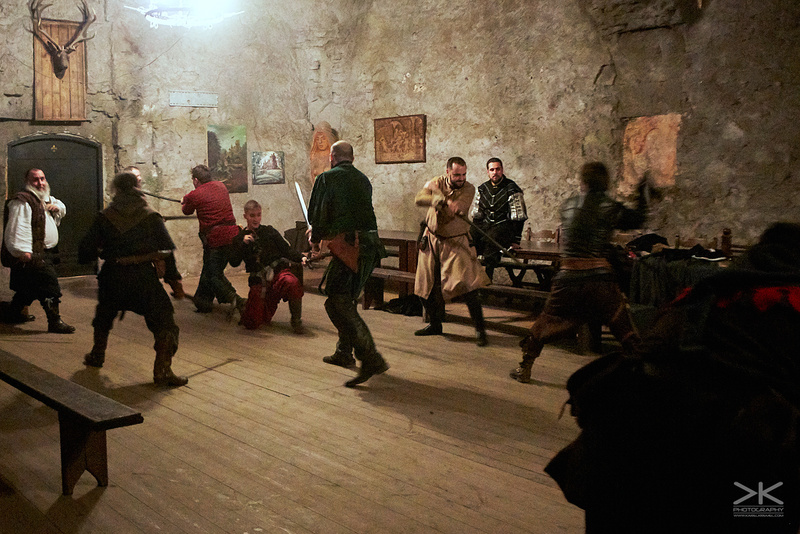 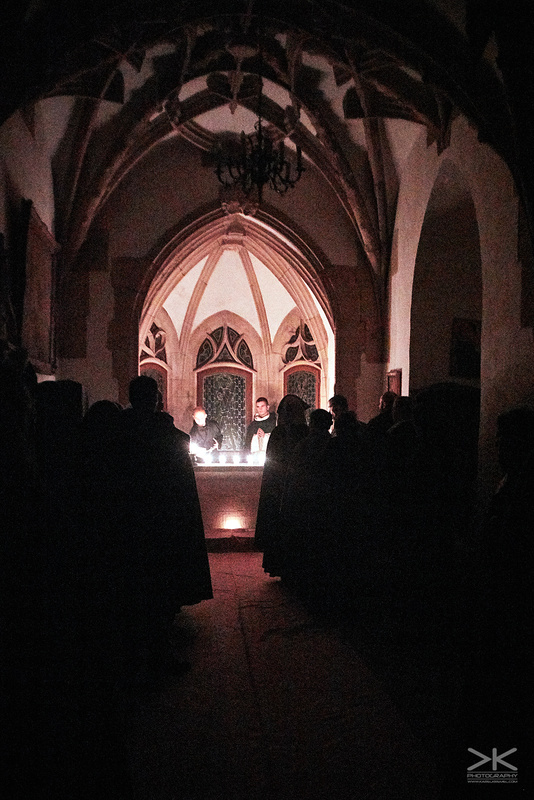 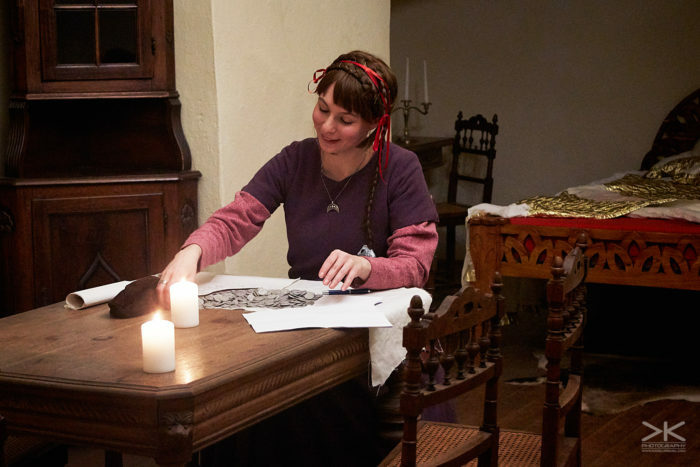 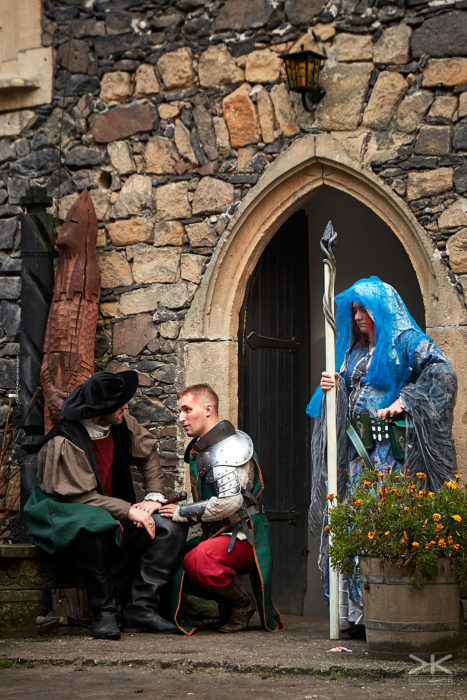 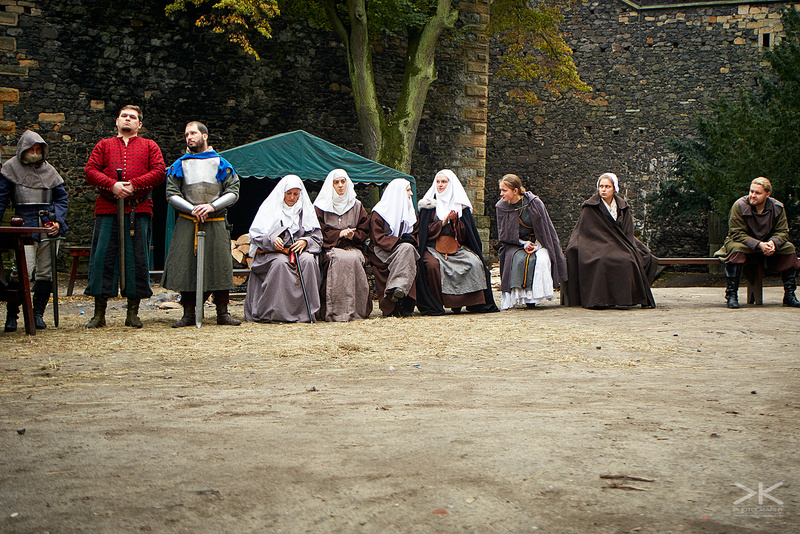 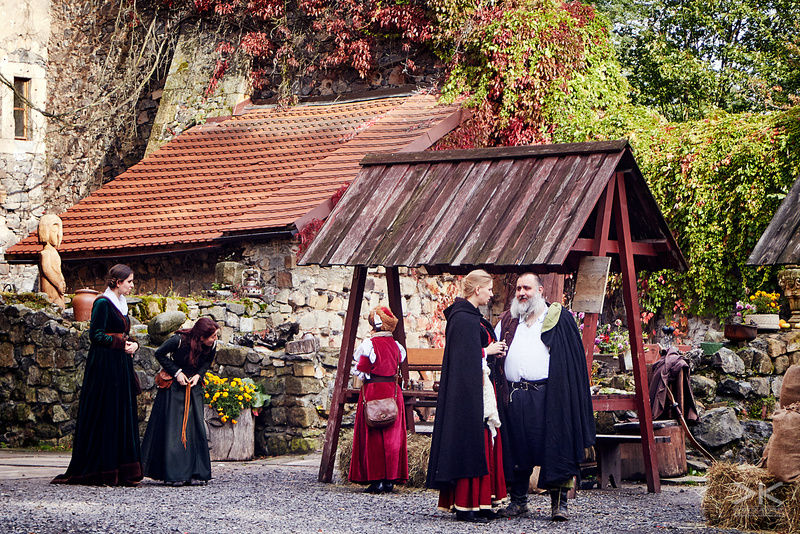 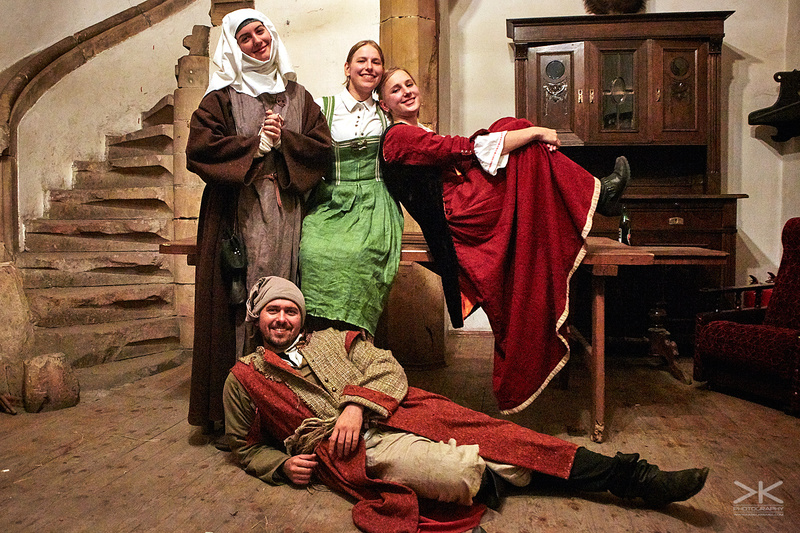 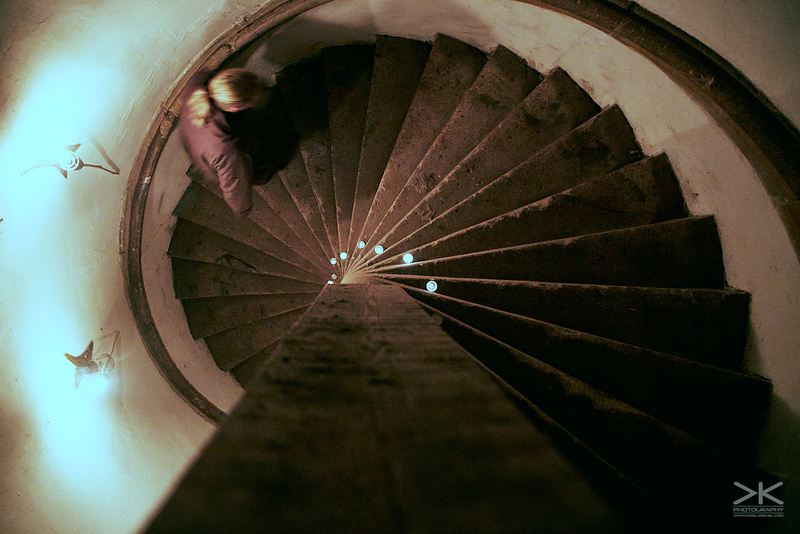 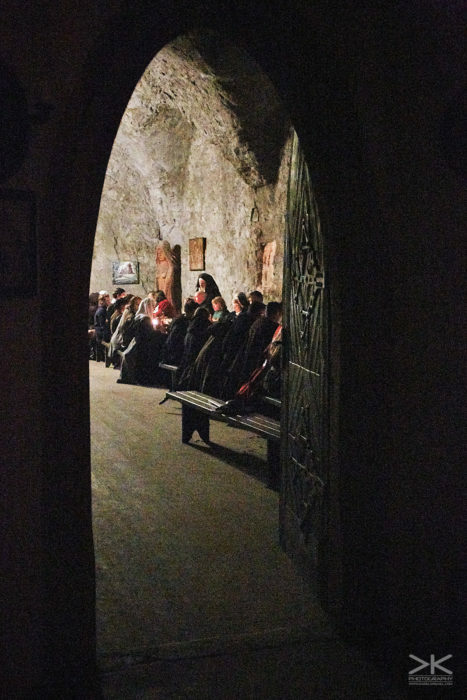 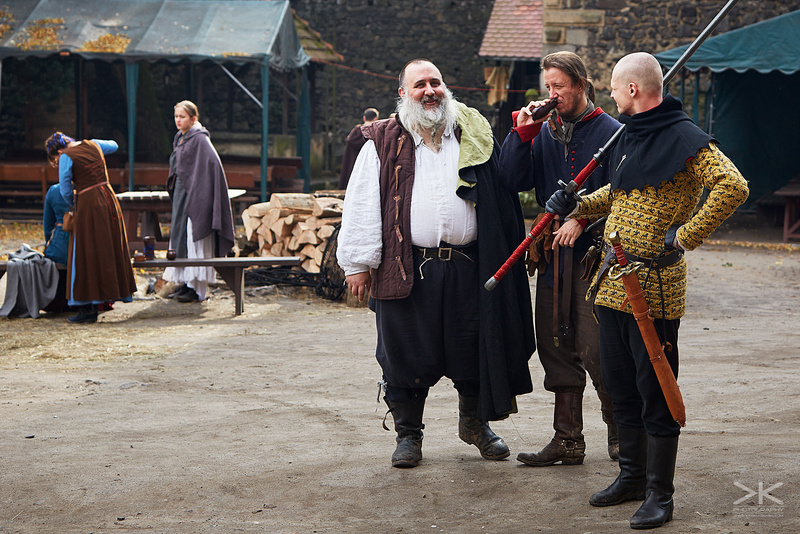 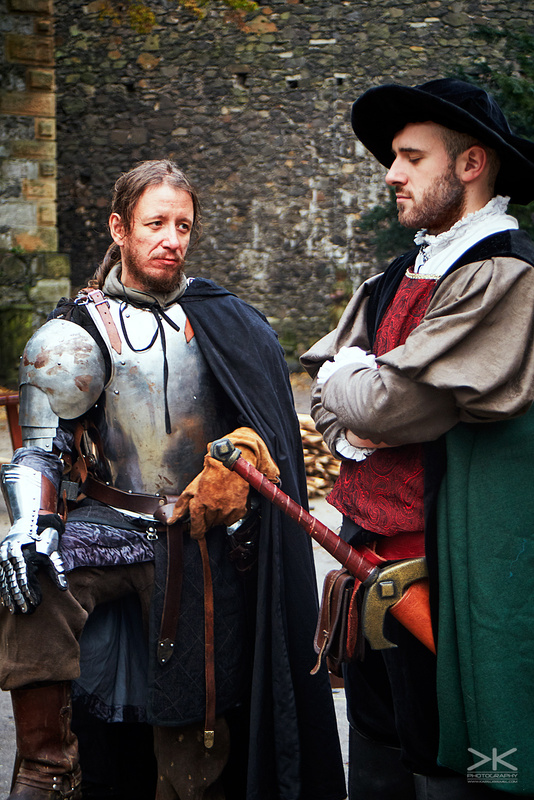 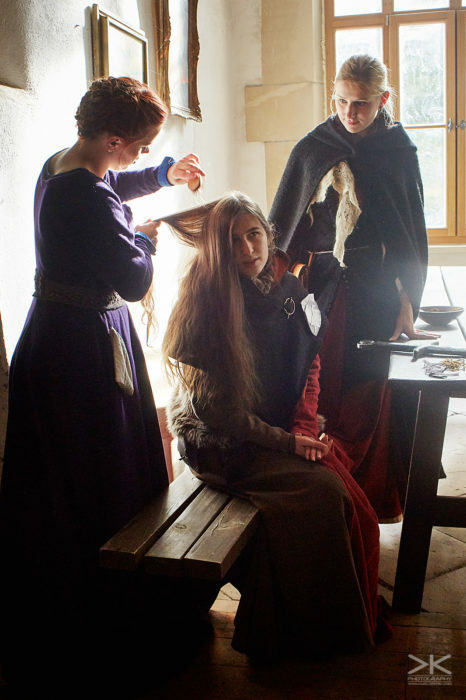 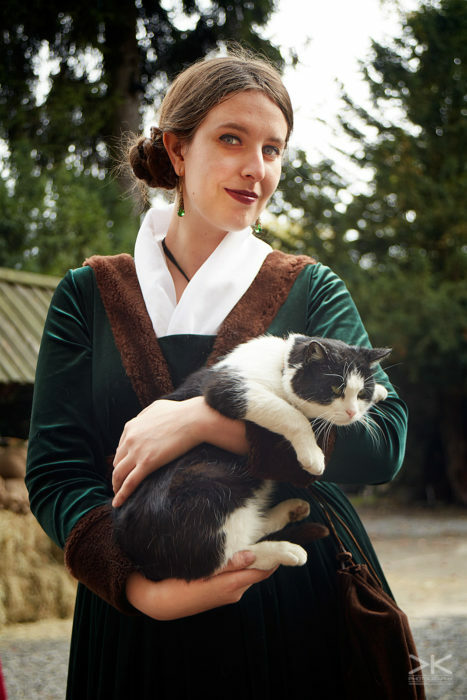 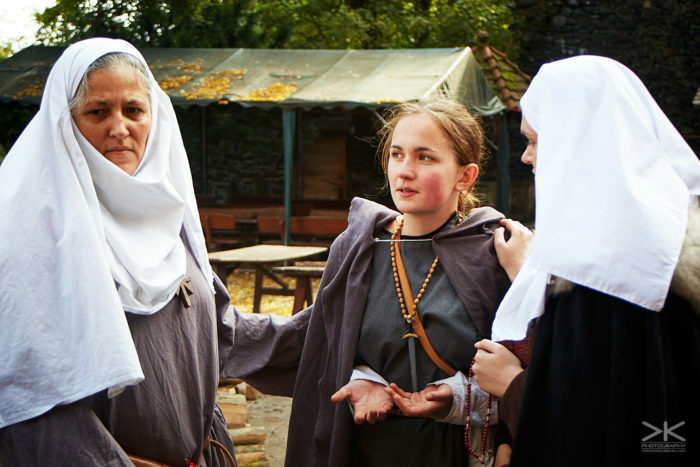 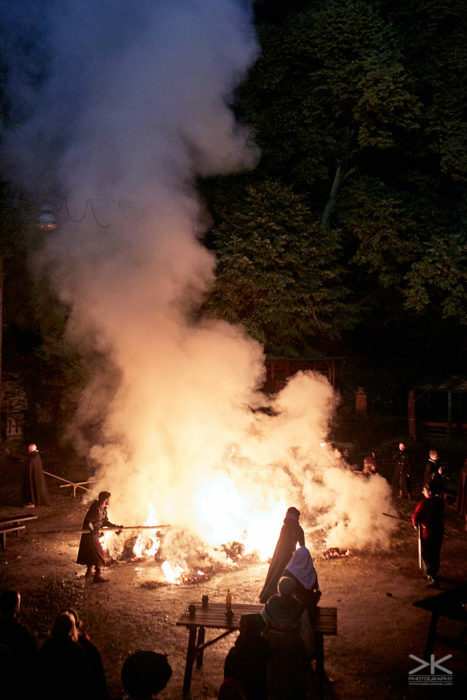 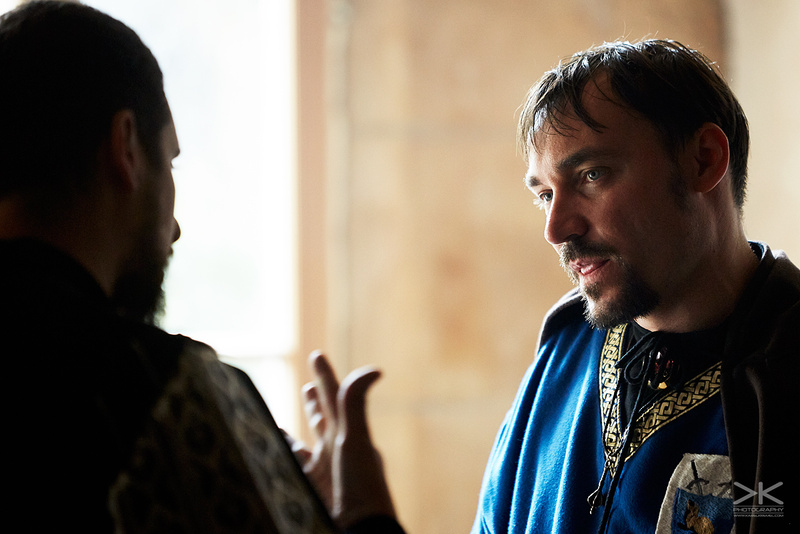 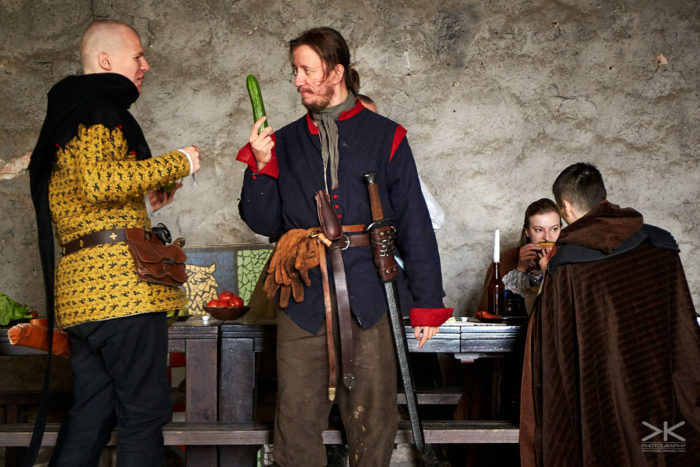 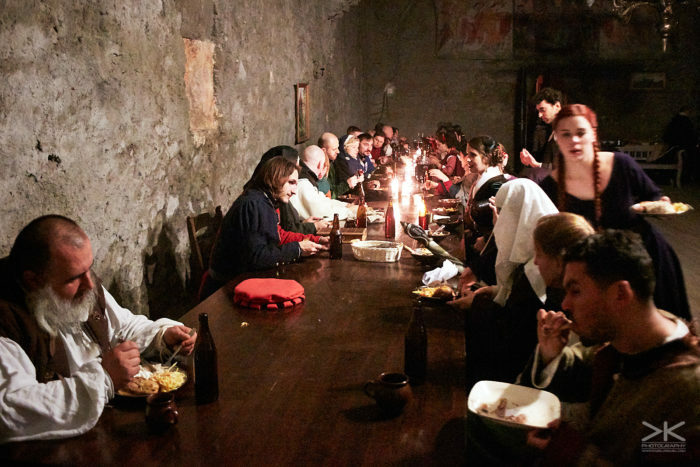 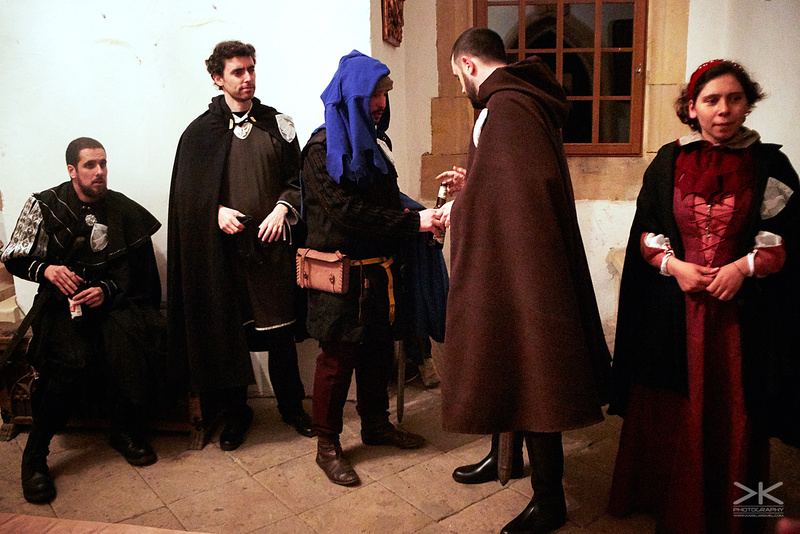 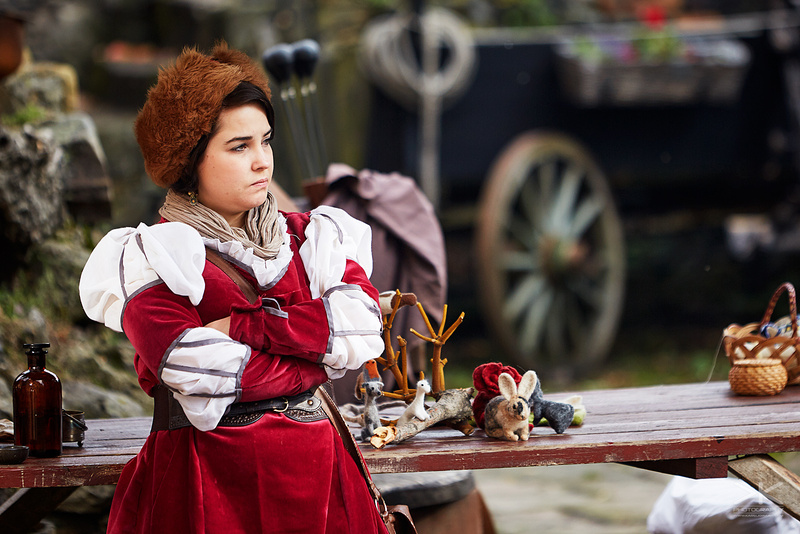 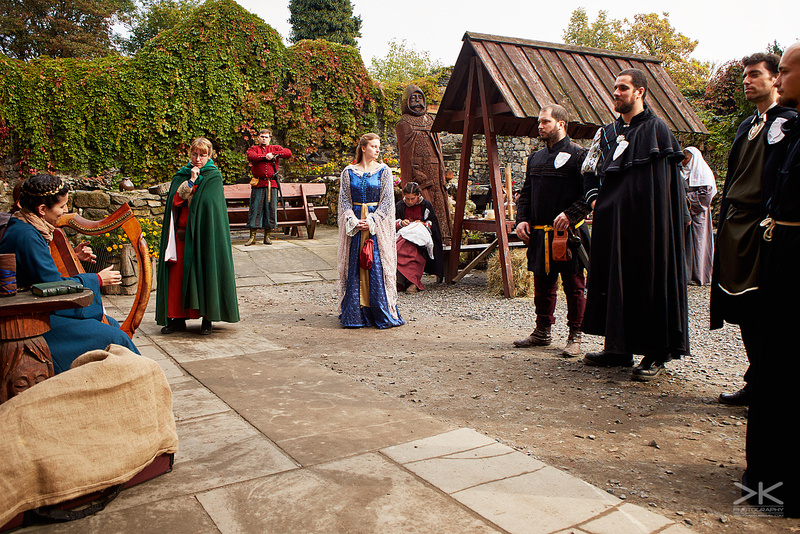 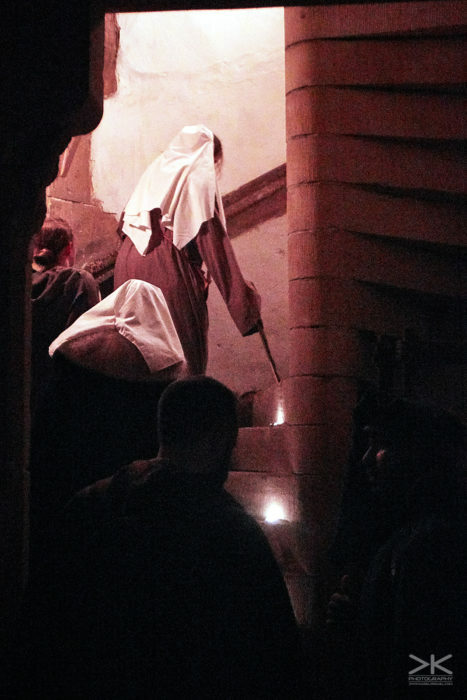 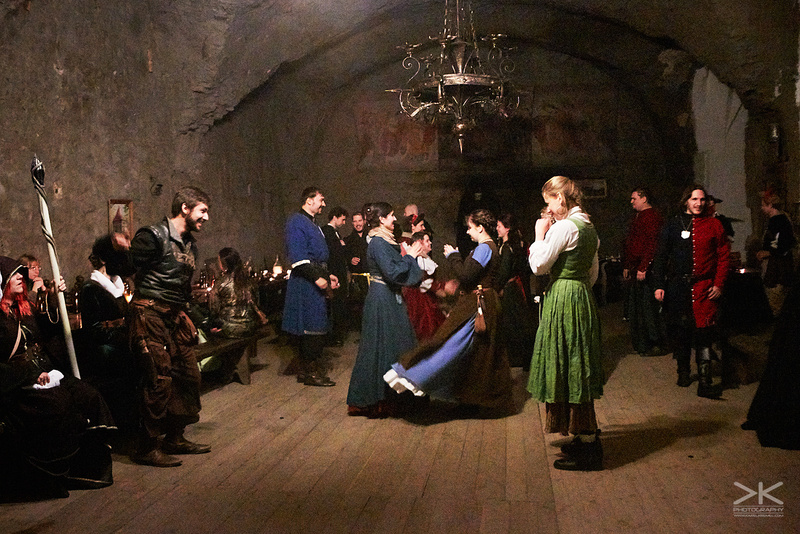 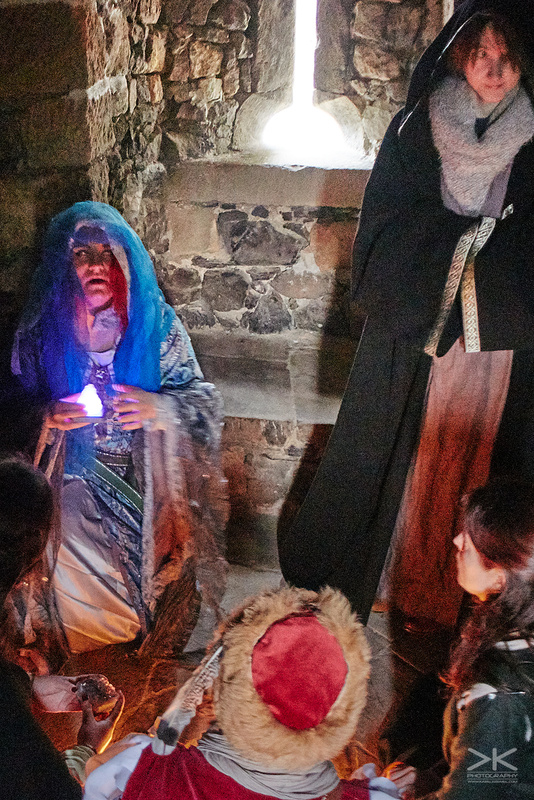 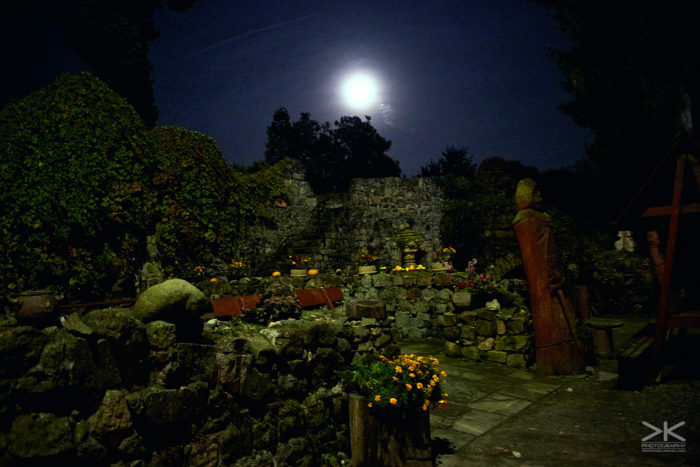 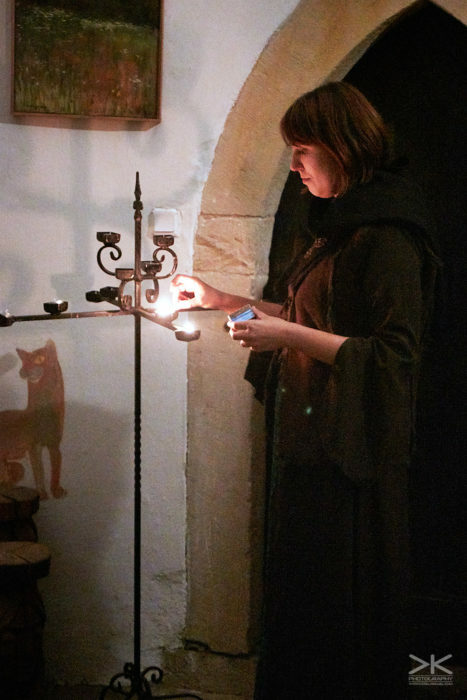 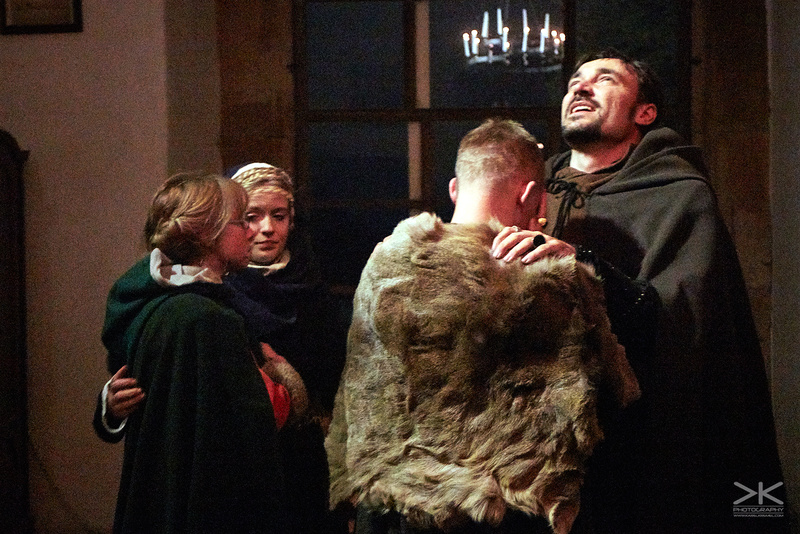 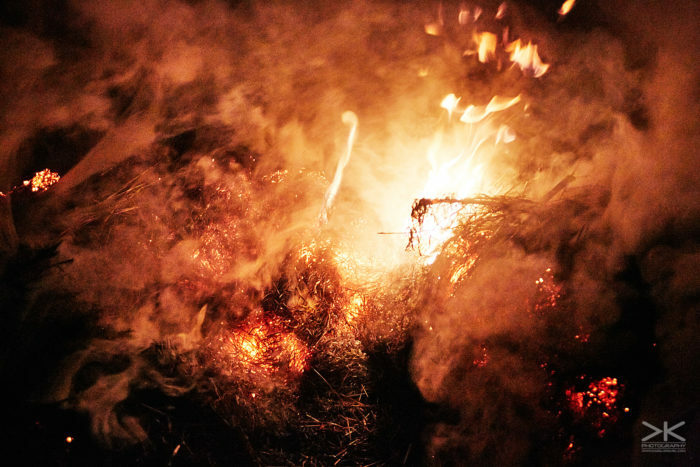 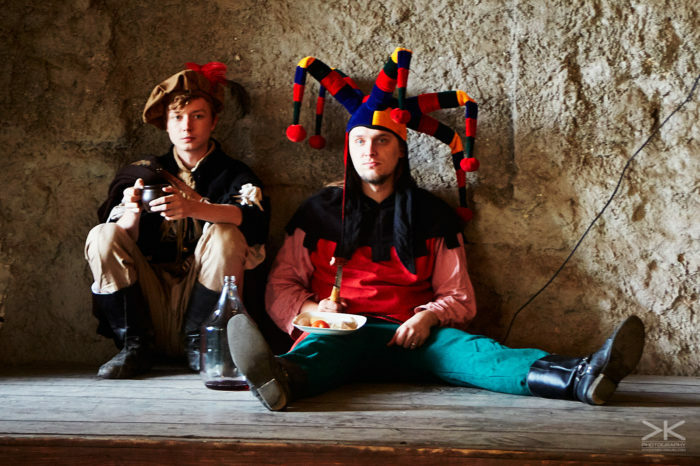 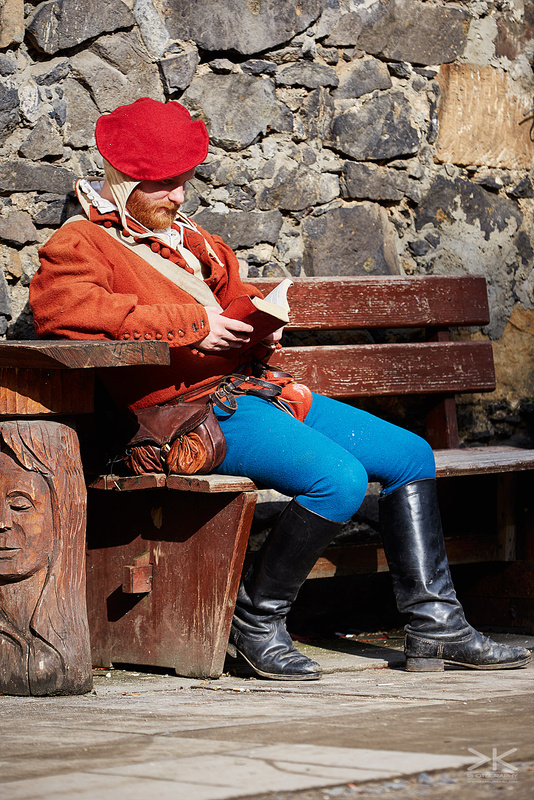 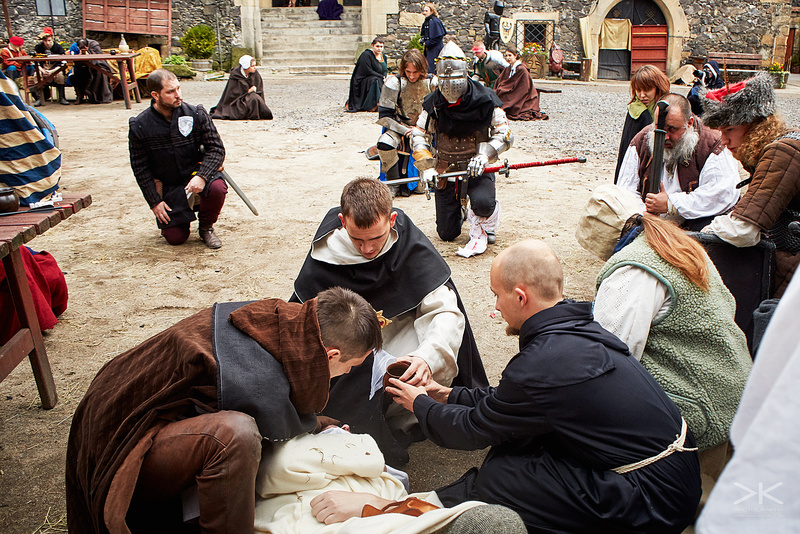 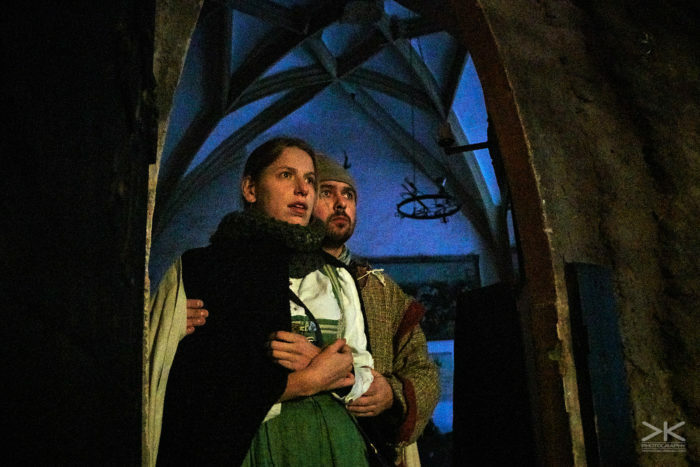 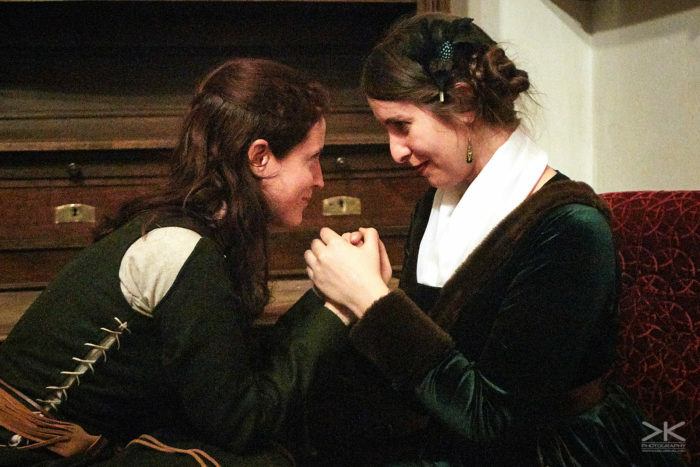 Witchcraft, fate, riches, power… that and more could be found in this Polish larp. 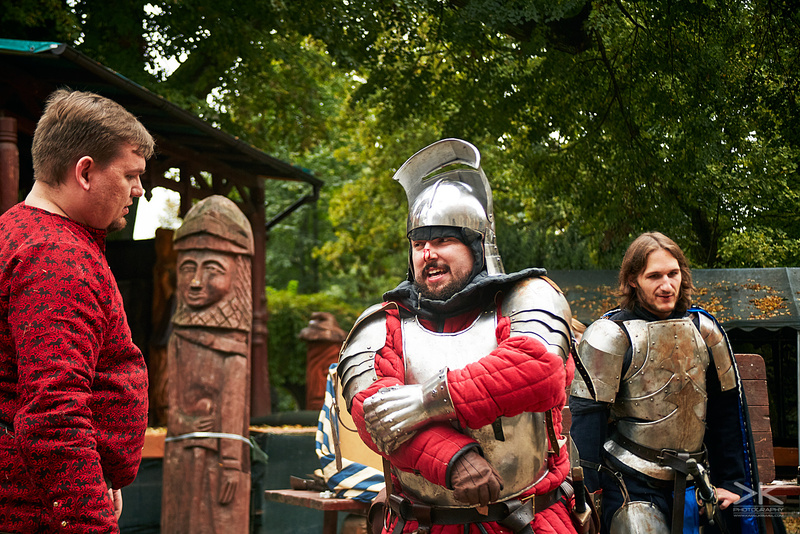 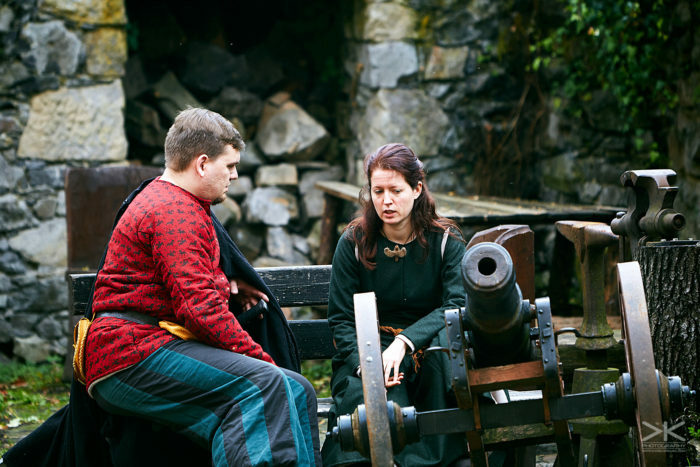 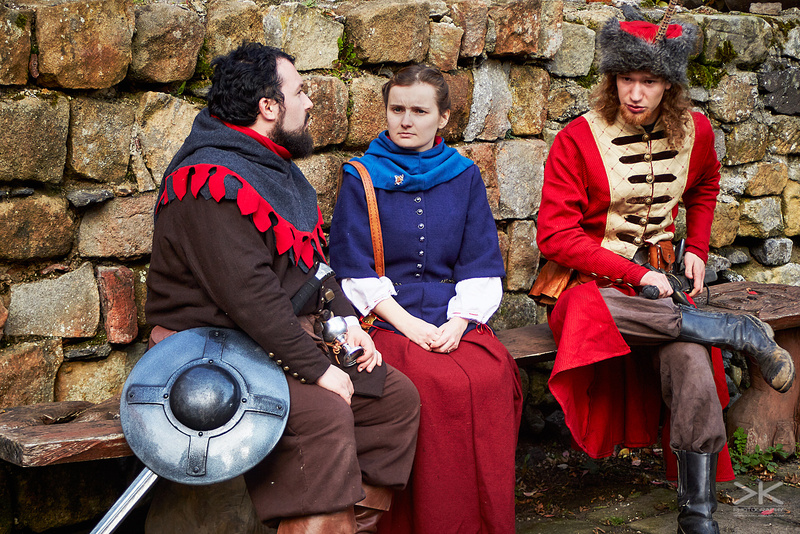 I’m sure, I’ve missed a lot – no matter that it was a foreigner-friendly larp, there still were some language barriers. 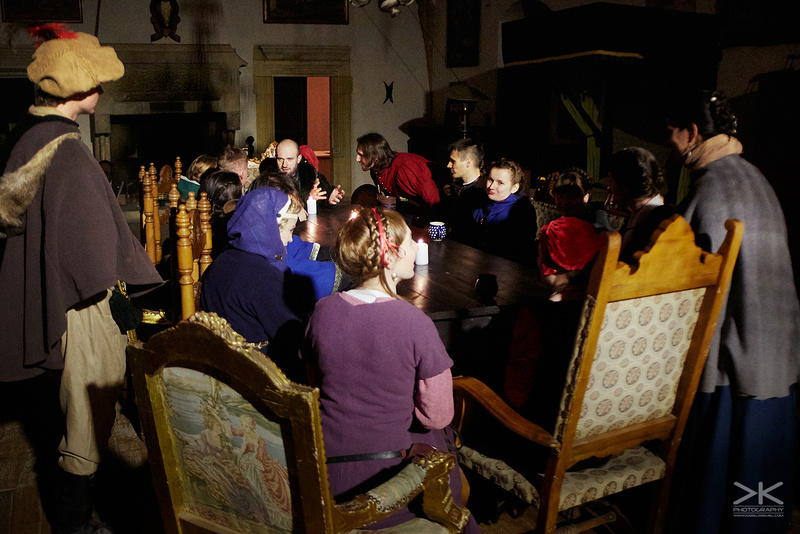 Therefore, I won’t speak much about the game – my photographs should speak instead. Anyway, I’m not saying that the language barrier (OK, I did understand about every seventh or eighth word) harmed the game. 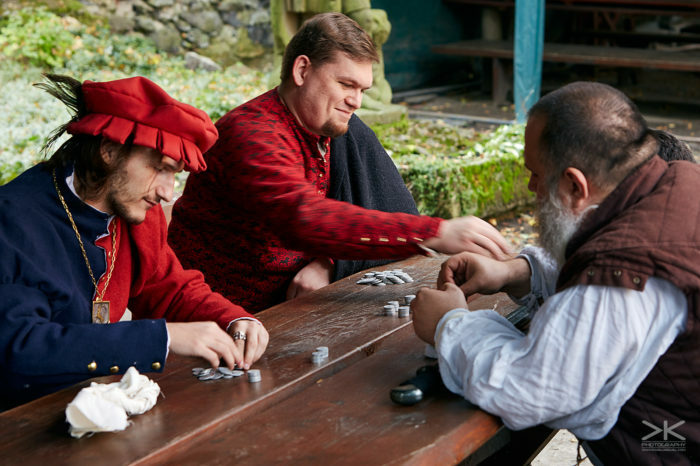 I did know in advance, that this game would be played primarily in Polish and only when someone started speaking English, the rest also switched to English. But it’s not a good environment for a character that is information based (like mine was, and also the one of my in-game cousin). 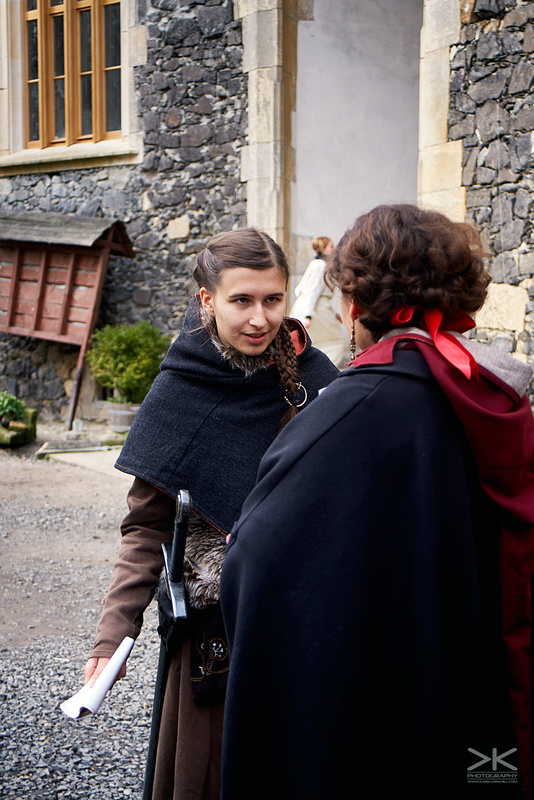 It’s hard to overhear something or join a conversation when you don’t have any idea what they are talking about. 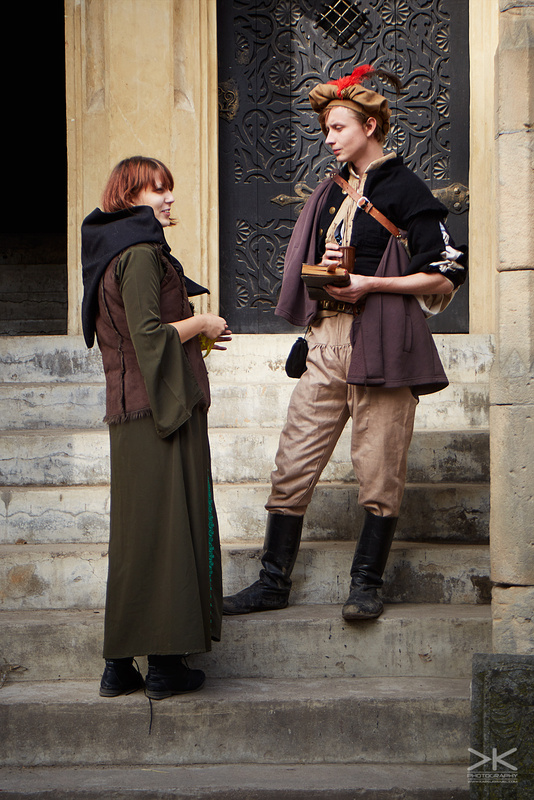 However, it’s true that no one refused to switch to English when we started talking with them. 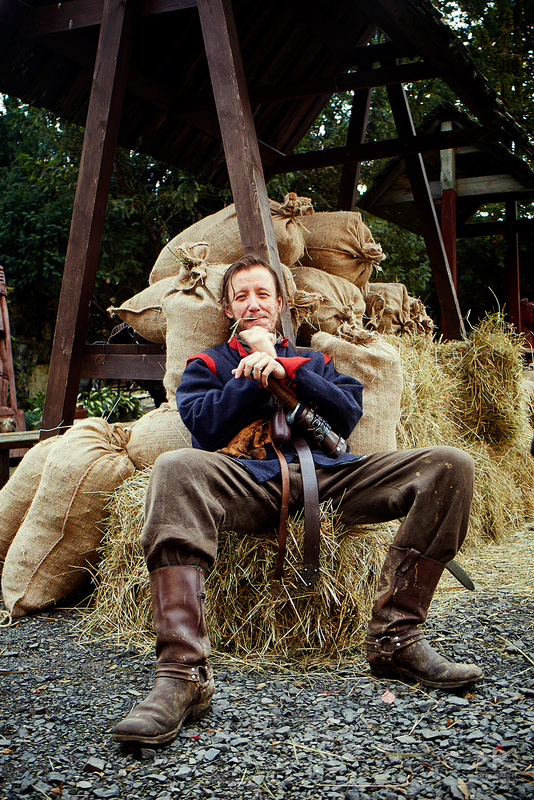 Next time when I go to a foreigner-friendly larp, but not one primarily held in English, I need to ask for character that isn’t based in information/blackmail/manipulation, but something more direct. 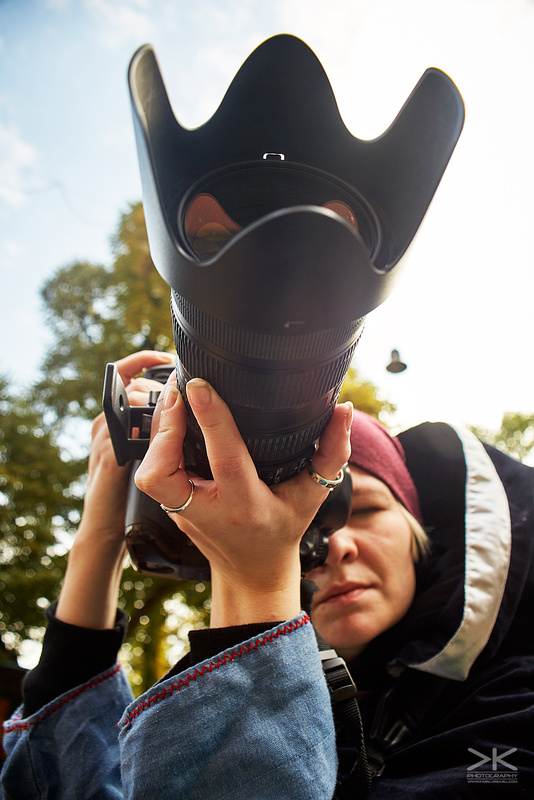 Well, at least in case I’m be playing, and not only taking pictures as it usually is. 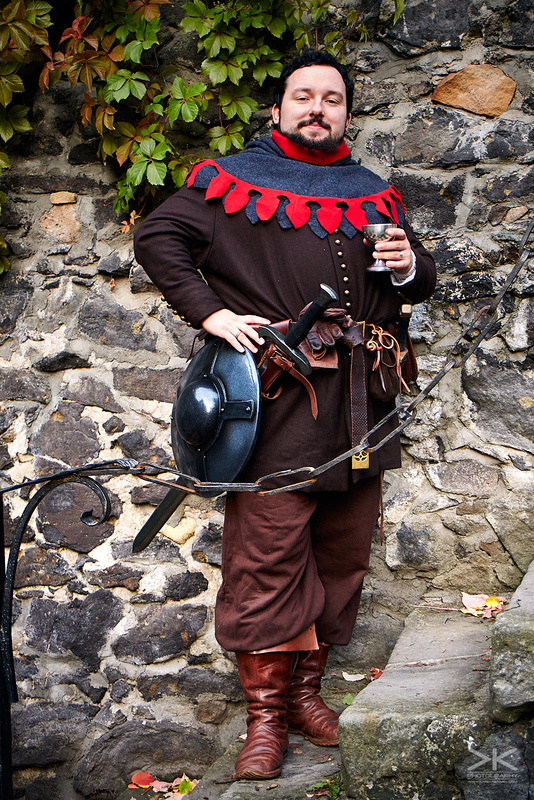 It made me sad that creators of this game must have spent a lot of time by writing my character when I wasn’t really able to play it to its full potential. 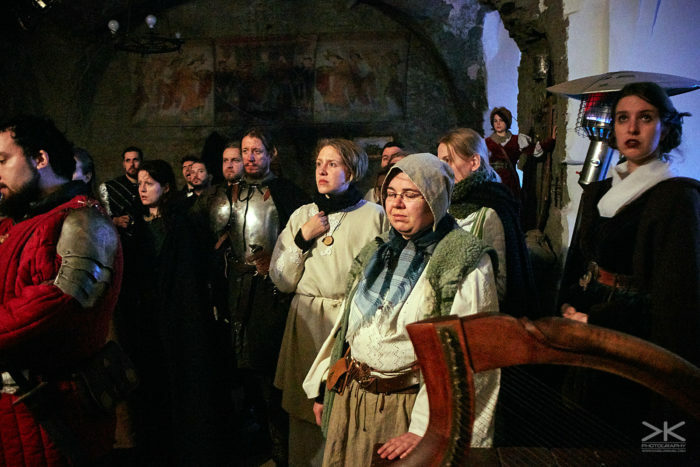 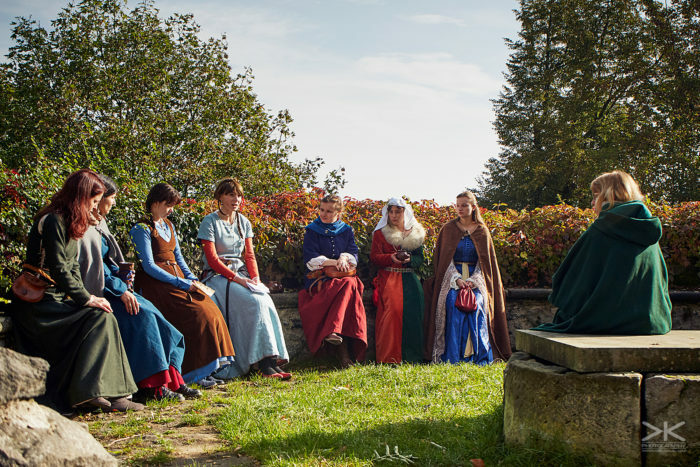 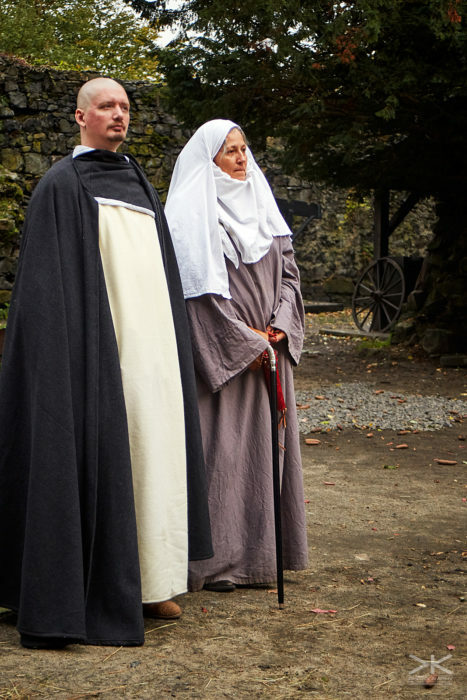 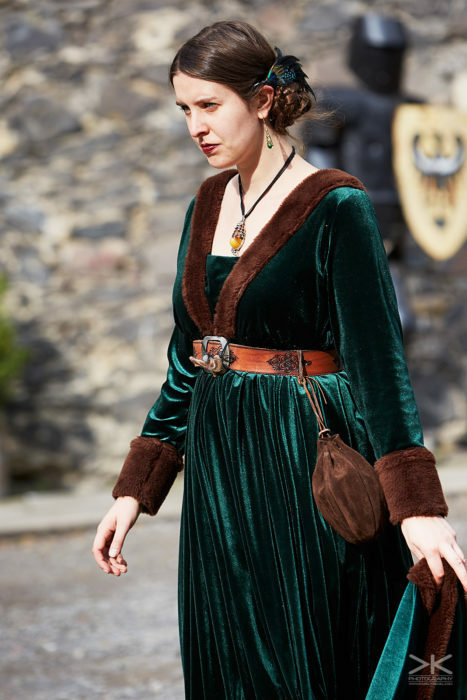 I should have already attended this larp this spring, but I didn’t think that a few hours of driving and three days at a cold castle would mix well with the antibiotics I was taking at that time. Even so, the organizers didn’t lose faith in me and invited me for the autumn run as well. 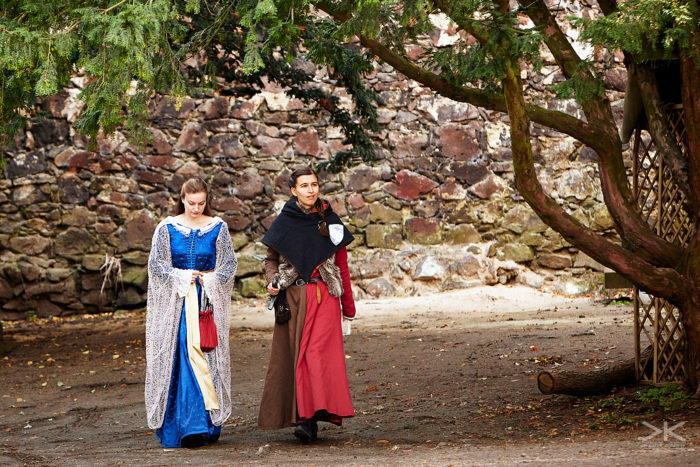 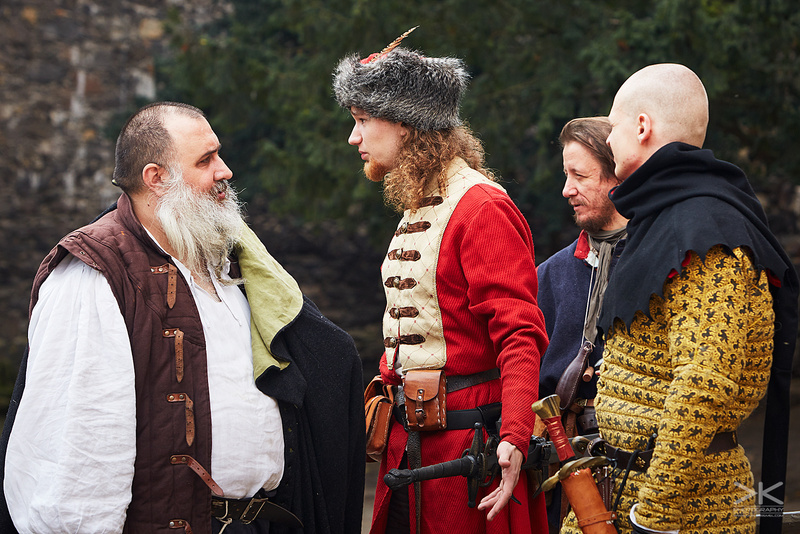 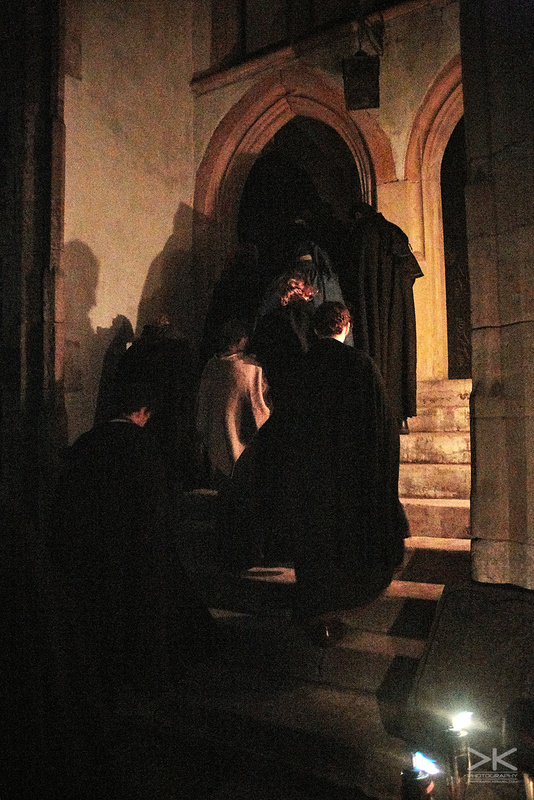 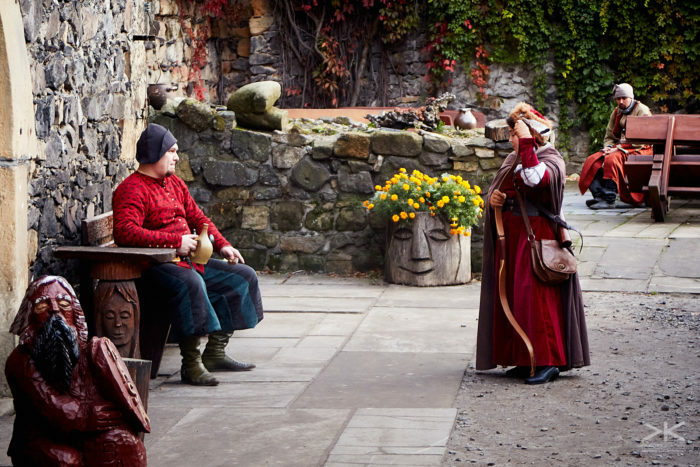 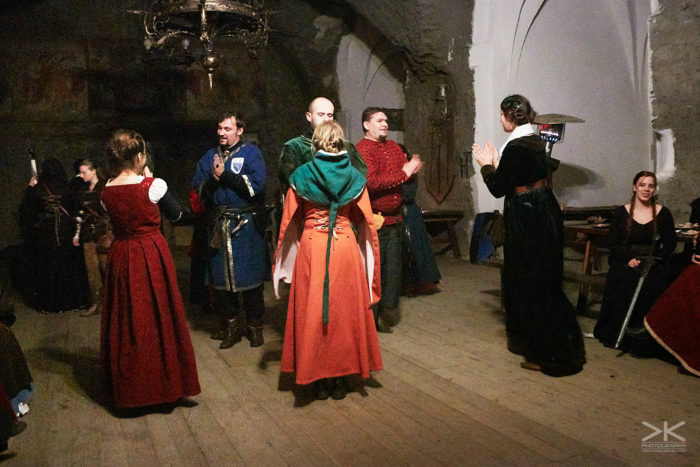 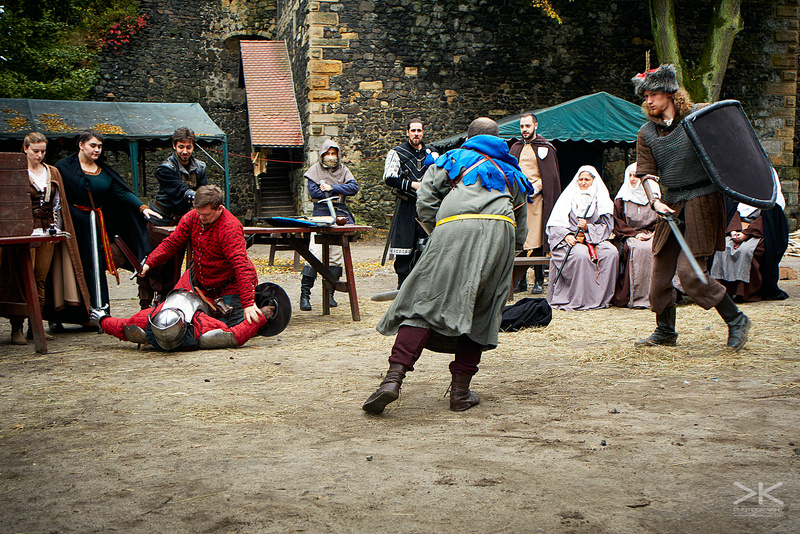 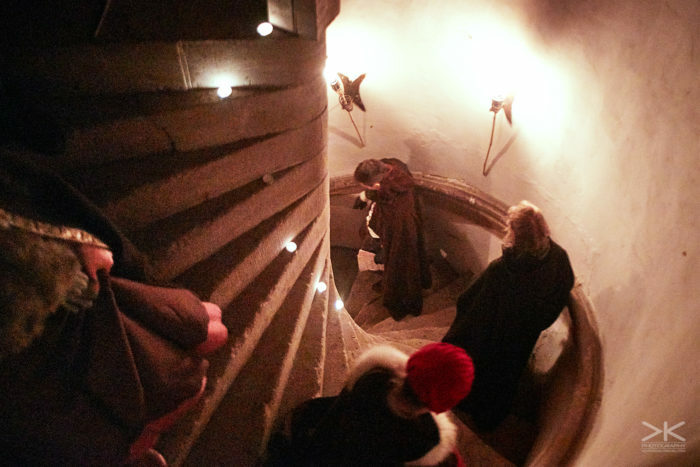 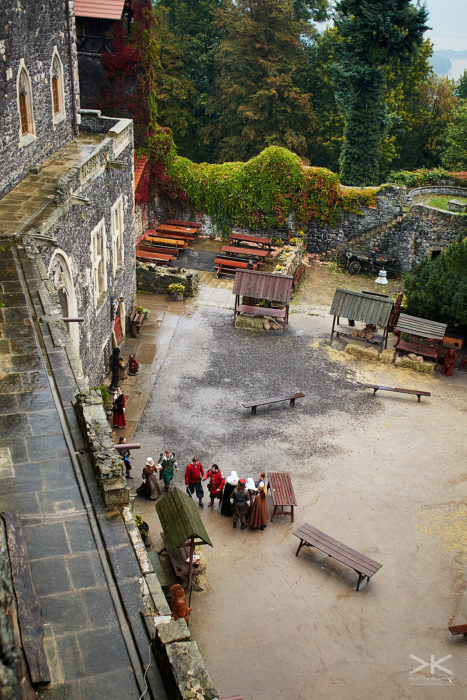 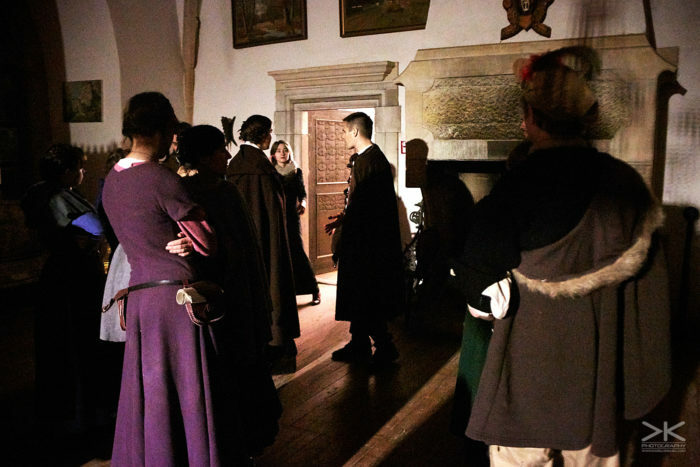 This larp took place at the castle Grodziec, which I have visited here before. 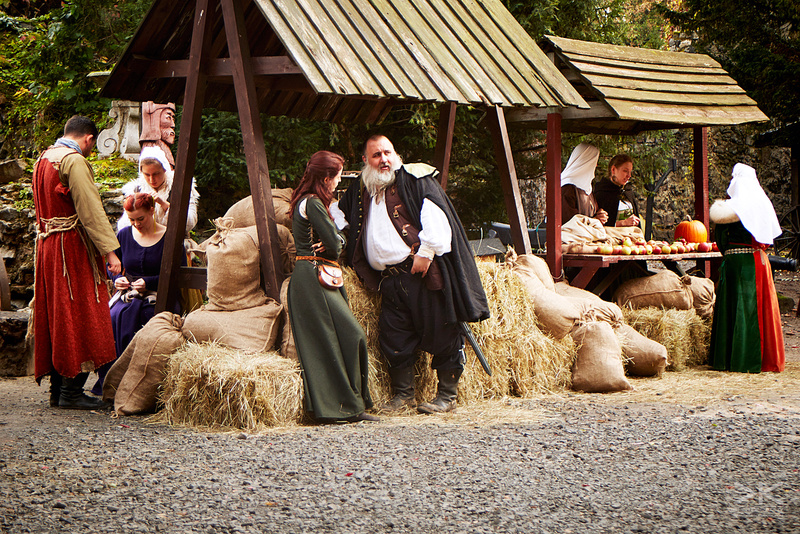 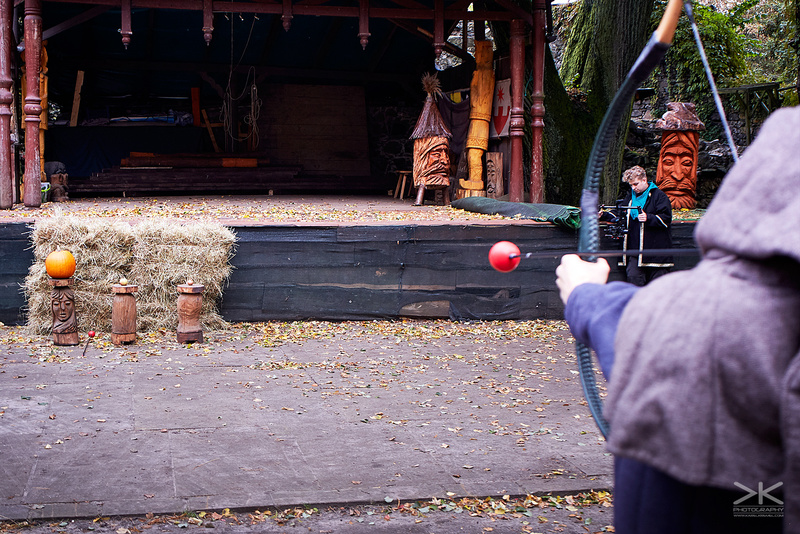 It’s four years since I was shooting at another Polish larp – Geas. 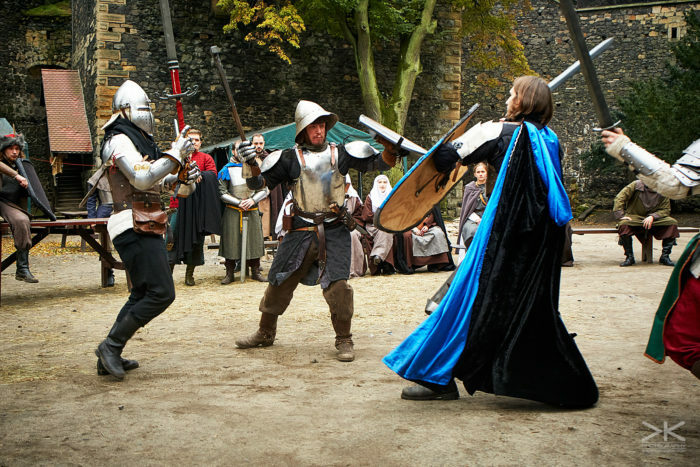 Both games were made by the same people (at least some of them) and both tookk place in a pseudo-medieval world filled with magic. 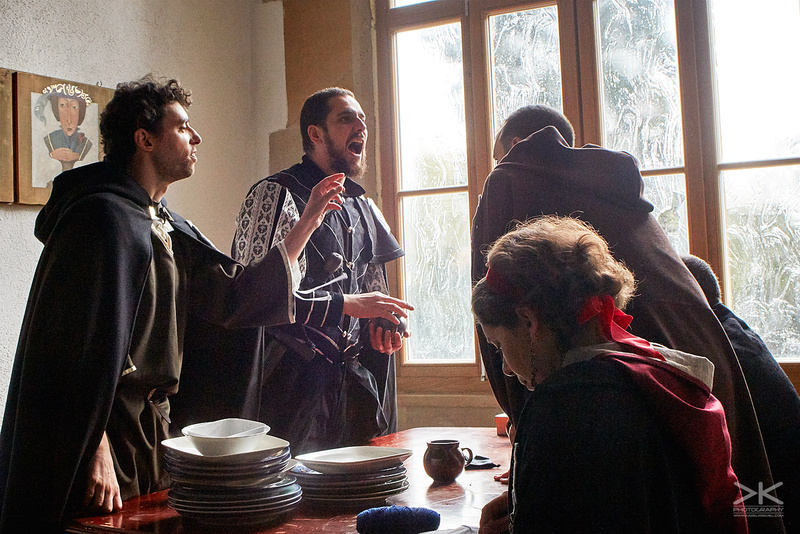 Like the previous time, there were a few foreigners, and our number has more than doubled compared to the last time. 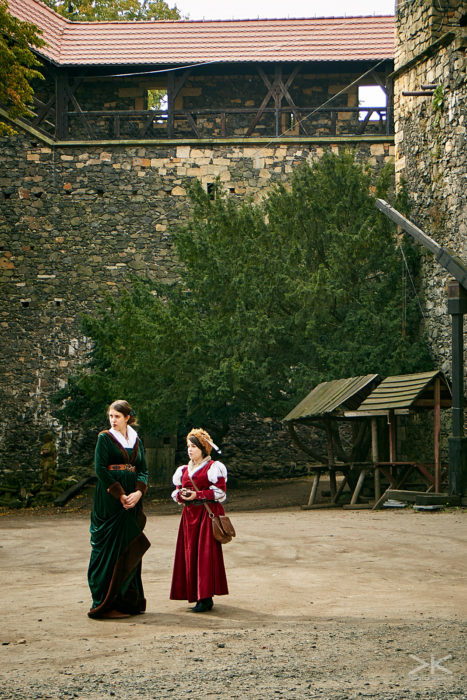 I don’t really know how much Geas and Mir were connected, to be honest, but it could be just different castles in the same world and same time. I should say that it was really nice to return there and meet both the larpers I haven’t seen for years and the larpers I haven’t met before. And I hope we haven’t seen each other for the last time. 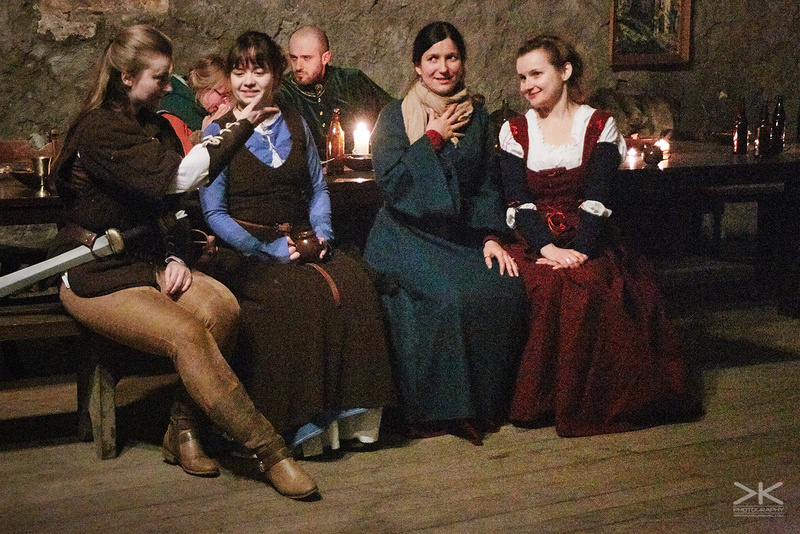 And if any of them come to Prague, no matter if just travelling or for some larp, I would be happy to offer them hosting (and yes, this is an encouragement).